If you don't know of my torrid love affair with Costco, you haven't been around long enough. I could spend hours in the place ooohing and aahhhing. And it turns out they have some great products to keep me going strong on my Moo Goo diet. I know some of you are also gluten-free and/or dairy-free, so I just wanted to share some of my favorites! 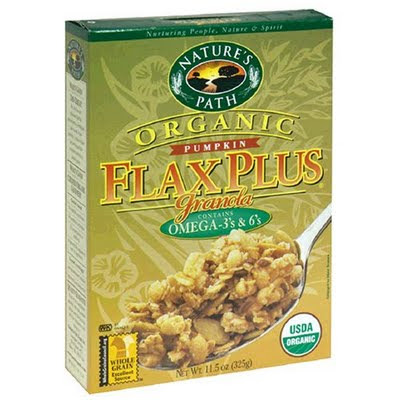 I mentioned a couple of weeks ago that my acupuncturist recommended I get this cereal. And I am in love! I eat it every morning with almond milk. It's very filling and packs a good protein punch with the seeds (Dr. Liu is ALL about the seeds). 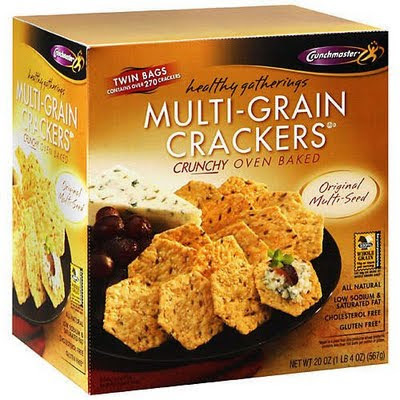 Individual tubs of hummus are available at Costco and they make a great snack with these gluten-free crackers. Kinda pricy, but they last a while for me. I can sometimes get a bag at the grocery with a coupon for a better deal, but most often the big box ends up being cheaper. They've got a nutty taste to them due to the seeds. Again with the seeds! I mentioned almond milk. We've ditched the cow milk and use almond for drinking, cooking... and everything we used to use cow milk for. I've tried a few brands and this one is my favorite. I don't like it super sweet and the Silk brand Original flavor suits me best. I did a fist pump when I started seeing it at Costco. It's normally $3.50ish at the grocery, but Costco sells a pack of three for like $7 or $8. Even with grocery store coupons, the Costco price is tough to beat. The very BEST deal I've found is on this organic gluten-free chicken broth. I've seen these sold at every grocery at an average of $4 for a 32oz box. Costco has a pack of SIX for less than $10. Um, that's a $14 savings. We do a lot of crockpot meals, so I actually go through a good bit of chicken broth. A lot of things at Costco are not cheaper than the groceries, but occasionally you'll find a real gem like this and you want to tell everyone!!! We do a LOT of tacos and Mexican fare in our family. 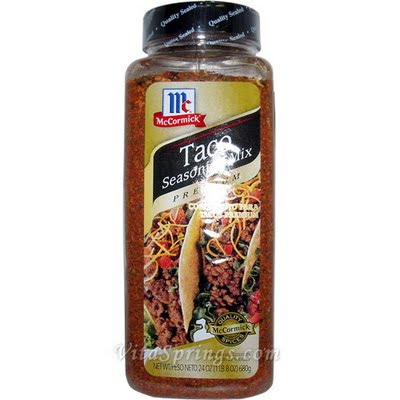 So finding a good taco seasoning mix to have on hand was essential. Honestly, my favorite is the Taco Bell brand - I just love the particular taste of it. But sadly, gluten. In fact most taco mixes, chili mixes and the like that are pre-packaged have gluten-full flour in them. So I was excited to find this ginormous container of taco seasoning at Costco that is gluten-free. McCormick uses corn meal instead of flour as a thickener. I've also got a good recipe for make-your-own mix, but as much as we do Mexican, I've got to have a quick option at the ready! Other "regulars" in my Costco cart are ground turkey (much cheaper than I've found in any grocery), nuts and nut mixes/snacks (definitely cheaper to get nuts here vs. the grocery), tortilla chips, and Costco brand salsa. We generally get our meats at Costco except for chicken. I always get my chicken cheaper at the grocery when on sale. I won't pay more than $1.99/lb for chicken breasts. I also get my eggs and cheeses (for the hub) at Costco. I get produce there sparingly... I always get a big bag of onions - very good price. Everything else just depends on the price and how it looks. And well, how fast we can consume it. Do we really need 15 lemons? I am always discovering new fun things at Costco, so if any of you know of some goodies that I might like - please share!!! Mmm... I'm already salivating over my next Costco trip. I got the new coupon book in the mail, so we'll be hittin' it up later this week! We buy all the same stuff at Costco! I love it! Love that granola and I have sampled those multi-grain chips! Love Costco, make it there at least once a week! We always get the chicken broth and LOVE the taco seasoning. It doesn't have MSG. I usually get my berries there as they are ridiculously cheaper than Publix. I love berries, so we usually go through them. I also get crushed tomatoes regularly. I was buying their trash bags, but they've changed something and the quality is much lower now. And once you have a baby (because I know you will) the wipes are awesome!